Rector's Discretionary Fund - provides emergency assistance to those in need at the rector's discretion. For the Children - a not-for-profit after-school program at St. Andrew's for children from our local schools. Founded in 1999, FTC provides quality and affordable education, recreational, community and family-building activities. It also serves as a day-time program during the summer. The Way Cafe - a program providing a free hot meal for the hungry on Saturday afternoons at Calvary United Methodist Church, across the street from St. Andrew's. Our parishioners volunteer on the third Saturday of each month. Kimela Weisenborn organizes the St. Andrew's volunteers. P.E.A.C.E. (People Engaged in Active Community Effort) Justice Ministry - a consortium of about 20 churches in Palm Beach County (including St. Andrew's) that works to achieve social justice through practical political efforts. Recent issues with which P.E.A.C.E. has had input with county officials include youth accountability boards for juvenile offenders and making affordable housing available, while currently working to prevent wage theft and ensure more jobs for local residents. WOLF (Women Offering Love and Faith) - a pantry stocked with personal hygiene items for women, men, children, and infants who are homeless or have been affected by a natural disaster, donated by both individuals and businesses. It is also reaches out to the homeless and jobless by providing information about social services, various agency resources, and employment training. WOLF is administered by Deacon Pat, who can be contacted at deacon_pat@bellsouth.net. C.R.O.S. (Christians Reaching Out to Society) Ministries - collaborates with people of different faiths and organizations to create solutions to the unmet needs of people in our community, through sponsorship of food pantries, The Caring Kitchen, camp and children's ministries, and after-school snacks. C.R.O.S. is supported by churches, synagogues, community groups and private individuals throughout Palm Beach County and the Treasure Coast, all of whom share in this common goal. St. Andrew's collects non-perishable food items and delivers them to the CROS pantry. Angel Tree - St. Andrew's parishioners participate annually in this seasonal activity, sponsored by Adopt-A-Family of the Palm Beaches, to provide Christmas gifts of clothing and toys for less-fortunate children in Palm Beach County. 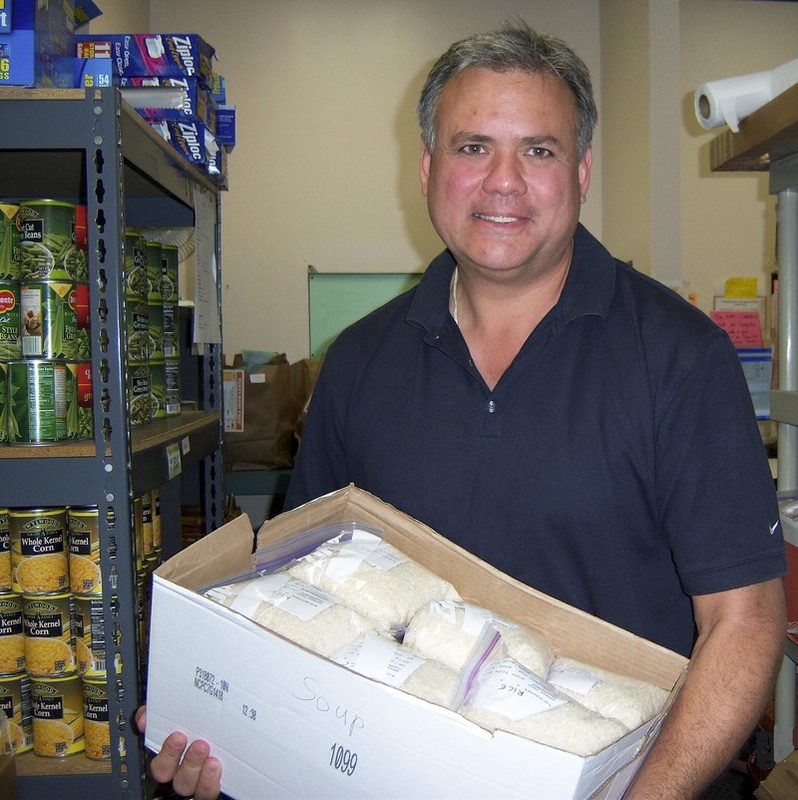 Food for the Poor - the third-largest international relief and development charity in the United States, feeding 2 million poor every day. Its Christian relief programs and projects are helping children and the poorest of the poor by providing food, housing, health care, education, water projects, emergency relief and micro-enterprise assistance in the Caribbean and Latin America. LWIN (Lake Worth Interfaith Network) - a group of individuals and religious organizations from across the spectrum promoting unity among people of faith (or no particular faith) in the 21st century, through dialogue, interfaith services, and various collaborative projects. Initiated by the St. Andrew's clergy, LWIN currently includes members from the Baha'i, Buddhist, Jewish, Muslim, Friends (Quakers), and Christian (Episcopal, Methodist) faith communities. KIVA - a non-profit organization with a mission to connect people through lending to alleviate poverty. Leveraging the internet and a worldwide network of microfinance institutions, Kiva lets individuals lend as little as $25 to help create opportunity around the world. T.R.U.E. (Toward Relief of Urgent Emergencies) - for nearly four decades has provided several thousand dollars each year to assist those in our community who are in desperate need, but for whom the usual governmental and social service help is inadequate or non-existent. T.R.U.E. keeps people in their homes by providing rent assistance. It often pays overdue water and power bills, and provides needed medications and medical equipment. Clients are screened to determine specific needs. St. Augustine Fellowship - a 12-step program that uses the parish hall.